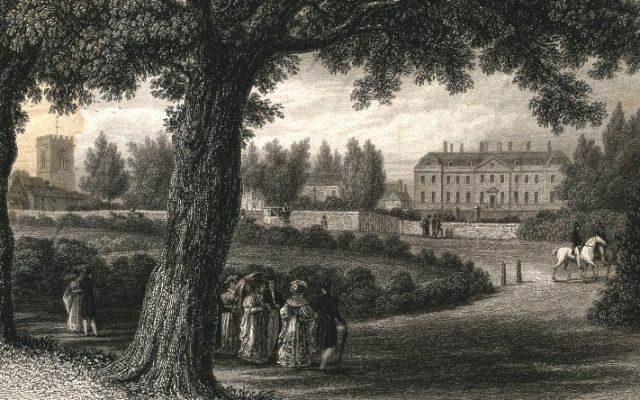 A view of the Radcliffe Infirmary in the 19th century. Image courtesy of Wellcome Images. Radcliffe’s trustees used his money to establish the Radcliffe Infirmary, which opened as a local hospital in 1770 (they also funded the Radcliffe Observatory, the University’s astronomical observatory from 1773 to 1934). The Infirmary was intended to be a base for student clinical training, which was also supported by the establishment of the Lichfield Clinical Professorship in 1779. This Professorship was the first academic post in the country devoted to the clinical teaching of students on wards, and proved attractive; between 1780 and 1800, the numbers of Oxford medical students doubled, and half became Fellows of the Royal College of Physicians. Over the next two centuries the Radcliffe Infirmary continued to develop links with both students and patients in Oxford, with donations in the early 1800s establishing further facilities such as the Radcliffe Asylum (later the Warneford Hospital).